Are you searching for the perfect gift for that friend or family member that is always on the move? Finding presents for travelers — or ones that they’d actually use — isn’t always a simple task. That's why we’ve come up with six of our favorite items from the easiest holiday-shopping destination. With ideas to suit all budgets you won’t have to break the bank either, unless of course you really want to. For long journeys, there’s nothing better than putting on a playlist and blocking out the noise of the world outside. 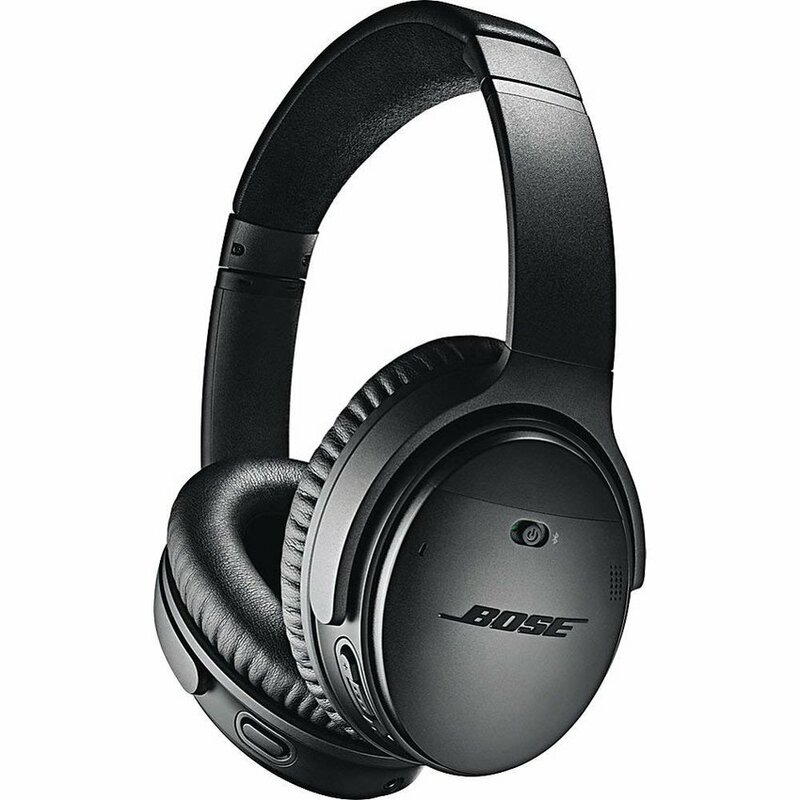 This range of Bluetooth headphones by Bose is one of the finest noise-canceling models around to date. The in-built Google Assistant makes it possible to select songs, listen to messages and organize tasks via voice activation. Alexa is even on hand for a chat. There’s a cord, too, just in case the Bluetooth battery is running low. If the person you are buying for travels a lot they’ll have no doubt had occasions when they’ve needed an extra bag. Packable duffel bags are ideal for when items need to be removed from checked-in or carry-on luggage because they are overweight. They also come in handy as beach, grocery, laundry and weekend bags. When not in use they fold down into a lightweight and easily storable package. 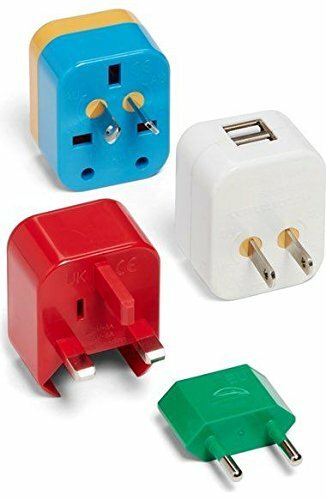 The stress of purchasing, packing and losing multiple plug adapters is a thing of the past with this clever, color-coded travel adapter. Each of the four parts have colors that correspond to a specific country/region, making it quick and easy to find the one you need, and there’s an additional part with two USB ports. With the adapter in hand it is possible to utilize outlets in 150-plus countries. 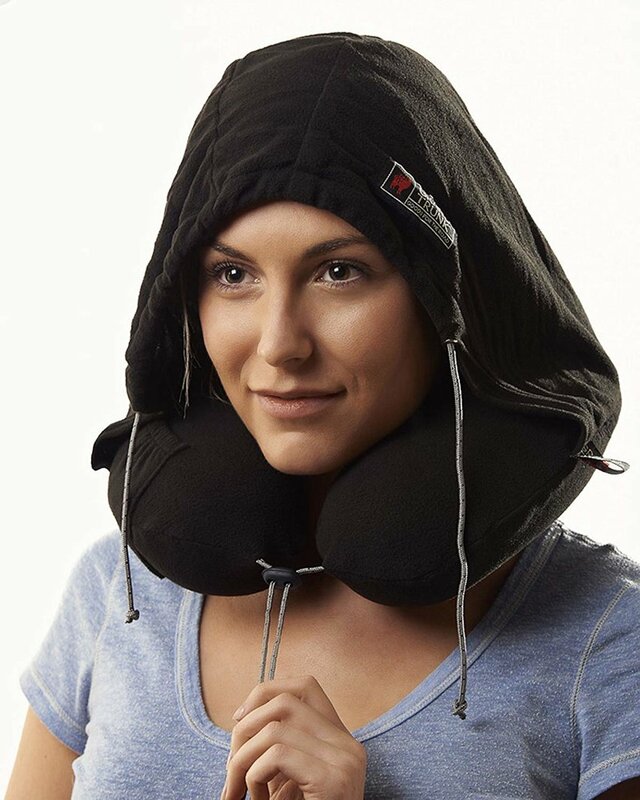 This ingenius creation is another accessory that aids in providing the utmost comfort when on the road. It features a memory foam neck rest covered in a soft micro-fleece material that is kind to the skin. Incorporated into the material is an adjustable hood, which can be rested on the head or pulled down over the eyes when it is time to get some shuteye. Whether to drink or not to drink the local tap water when traveling is a tricky conundrum, and one often with conflicting opinions. This is where a filtered water bottle comes in extremely handy. 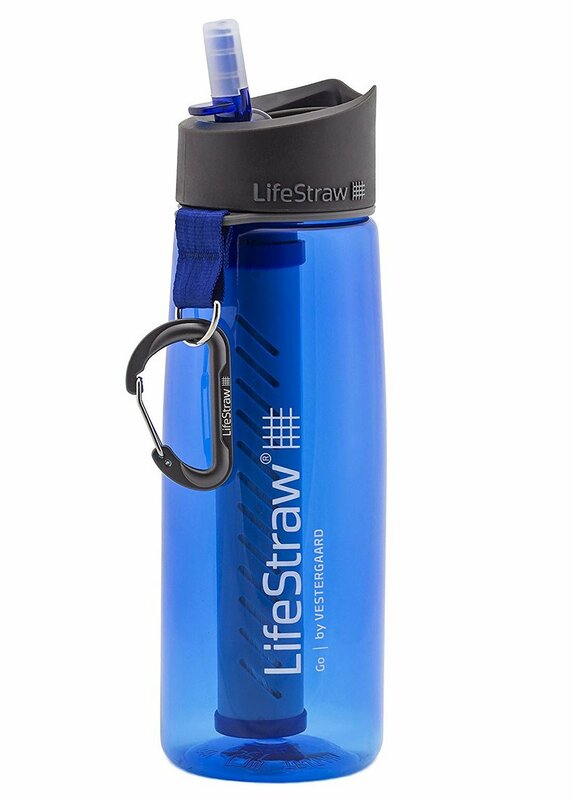 The LifeStraw edition is particularly special because it can make lake and stream waters drinkable by removing bacterias and protozoa. You’ll also help the environment by reducing the number of plastic bottle purchases. 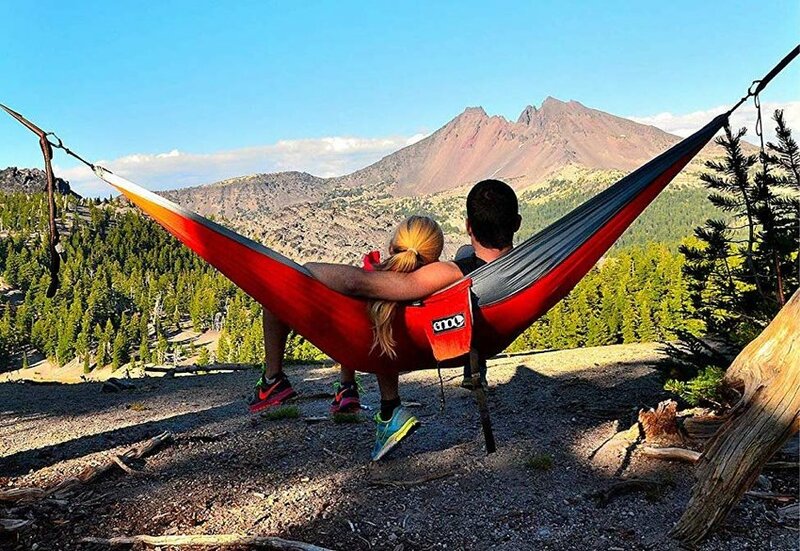 Backpackers, beachgoers, hikers and everyone else that likes being outside will be delighted to receive a travel hammock. Hitch it up between a couple of palm trees for a seaside nap, in the middle of a forest, on a boat or anywhere you deem suitable. 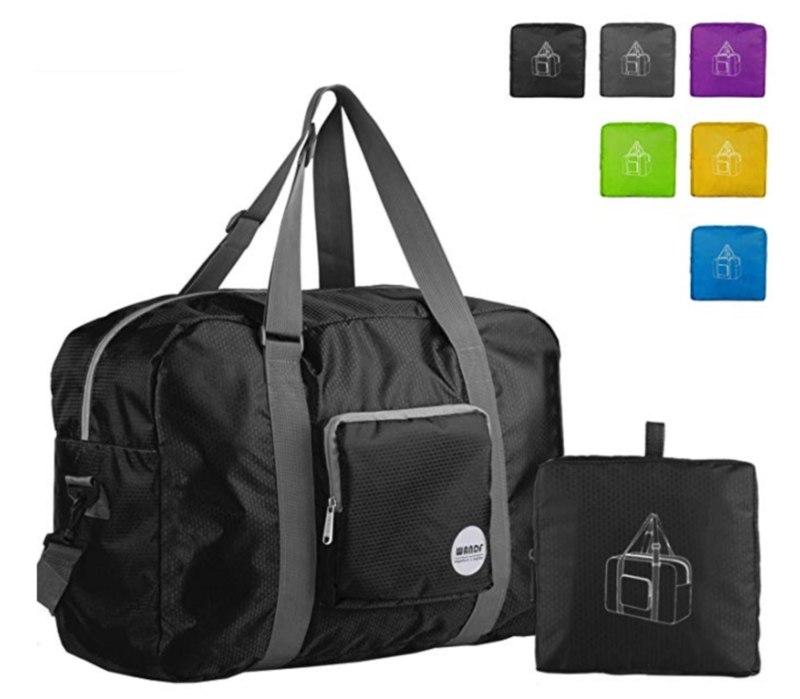 The strong, durable material can hold up to 400 pounds and when not in use it folds up into a compact bag.